iOS 11 public beta on the rollout, how to get the latest iOS version on your iPhone, iPad, and iPod touch? 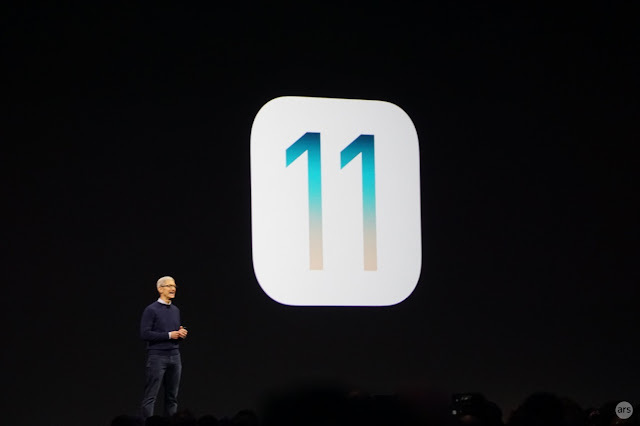 Prior to its official release later this fall, Apple has rolled out a public beta version of the new iOS 11 for a range of iOS devices. Among the supported devices would include iPhone 5s, iPhone SE, iPhone 6, iPhone 6 Plus, iPhone 6s, iPhone 6s Plus, iPhone 7 and iPhone 7 Plus. It is also supported in a range of iPad devices including the 9.7-inc and 10.5-inch iPad Pro, first and second generation iPad Pro, iPad Air and Air 2, 5th generation iPad, as well as iPad mini versions 2-4. The iOS 11 beta is also available for iPod Touch 6th generation. If you own any of the aforementioned devices and would want to try the latest iOS 11 platform, feel free to refer to this content as it walks you through the entire process. Before you proceed, it is highly recommended to back up your device and archive that backup using iTunes for safekeeping purposes. Please note that this is still a beta version of Apple's new platform, which means that this is still an in-development software, thus inevitable to certain bugs that may affect any app on the device or the device's normal functions. For Health & Activity data, you will need to encrypt your backup so as to retain the information in the backup. Once everything is backed up and you're all set, follow these steps. 1. Open Safari browser app on your iOS device. 2. Navigate to beta.apple.com (Apple's public beta website). 3. Tap the Sign Up button to continue. 4. Enter your Apple ID to sign in to the Apple Beta Program. 5. Read and agree to the terms and conditions by tapping the Accept button located at the bottom right side of the Agreement page. 6. Tap the iOS tab. 7. Tap on the Enroll your iOS device link. 8. Continue by tapping on the Download Profile button. Doing so will open the Profile area of the Settings app. 9. On the Install Profile page, tap navigate to the upper-right corner of the screen and then tap Install. 10. On the Consent screen, tap the Install button. 11. Scroll down and tap the Install button at the bottom of the screen to confirm action. 12. Tap Restart to reboot your device once the iOS 11 installation completes. After the reboot, your iOS device will boot up with the iOS 11 public beta profile. Proceed to the next step. 13. Go to Settings-> General-> Software Update. Doing so will prompt you with Checking for Update message. 14. Continue by tapping on the Download and Install button. 15. When prompted with the Terms and Conditions screen, tap Agree on the bottom corner. Doing so will instigate the download process. Wait until the download is complete and then tap Install Now to start the installation. Overall, the iOS 11 installation process should take around 20 minutes or so depending on your wireless internet speed. Once you've successfully installed the new iOS platform, you can go ahead and start exploring the new changes and exciting features it integrates. Over a hundred of new features and system enhancements are expected to come along with this major iOS update.